Taiwanese tea aficionados (cha means tea), but don't expect English breakfast or Earl Grey in here. 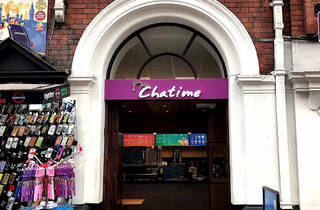 Chatime specialise in cold, flavoured milk teas, fruit juices, iced coffee and smoothies. You can also choose from a range of toppings (red bean, flavoured jellies, aloe vera, etc. ), your sweetness levels and amount of ice (brimming to none). 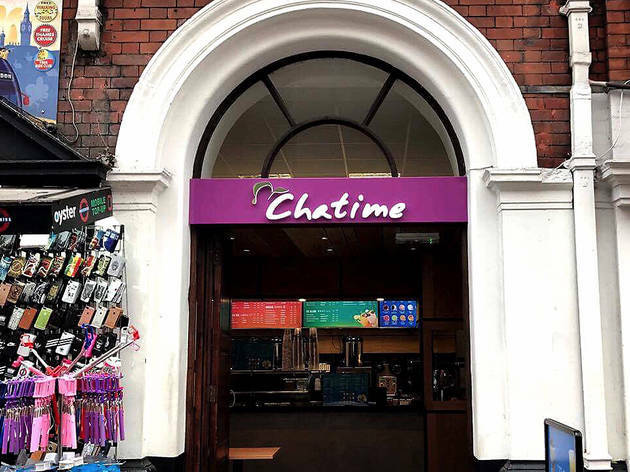 If you're a bubble tea lover, then you shouldn’t miss our Piccadilly Circus store. Here you can taste the most traditional bubble tea from Taiwan-we cook tapioca everyday to keep it chewy. You can also choose other toppings. Is probably one of the most authentic bubble tea places out there in London you can find, with one of their stores suitably located in the heart of Chinatown within Soho. This is a global chain with branches originally from its homeplace in Taiwan and having tried the original stuff this place is good. In fact look at the majority of customers who really know their bubble tea and I think that just speaks for itself. Compared to Bubbleology which i just don’t like and far too sweet, you can choose your own sugar levels and there is a wide range of hot and cold flavours and toppings to cater for different tastes and moods. Down side is that they only accept cash, service can be quite brisk especially if the queues are long and there really isn't anywhere to sit, so this really is a grab and go place if you happen to be strolling through the area. Knowing this brand was international, I went in expecting a certain level of quality. I wasn't disappointed with the taste of my bubble tea but I surely was with the service. The woman at the cashier wasn't the most confident in English. It was clearly difficult for her to understand my order because she ended up getting it wrong even after I repeated it twice. As I am lactose intolerant, I went for a green tea and requested it without milk. I also asked for pearls, which is an additional price. However, when my order was ready, it clearly had milk in it because it was creamy in colour. I then told the woman who served me my drink that this was not what I ordered. She proceeded to speak to the woman at the cashier in Mandarin, came back to me and told me I should have made sure my order was correct before paying. I admit, I should have done so but I did remind the woman at the cashier, who also took my order, that I didn't want any milk in my drink. They both then proceeded to speak about it in Mandarin and although I do not speak enough to be conversational, I do know enough to understand that the woman at the cashier was blaming me for this mistake. Another woman preparing drinks then told me to wait while she prepared the order I originally wanted. It didn't take long before I received the correct drink order. I was just shocked that the woman at the cashier/taking my order had the gaul to speak about me in front of me, not knowing whether I could understand Mandarin or not. I think this was very unprofessional and blaming the customer for messing up their order when the woman herself couldn't understand me was truly unbecoming. I will not be returning to have bubble tea here again. Even though there was nothing wrong with the taste and flavour of the drink I had, the service was truly disappointing! There are other brands in Chinatown with much better service and even better flavour options.